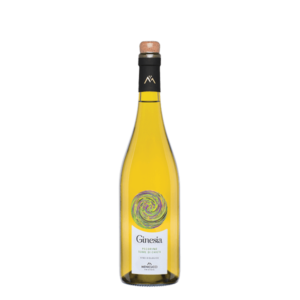 100% organic Passerina grapes, Ginesia Passerina Terre Di Chieti (IGP) wine is crystal clear with a pale yellow color. A medium to full bodied wine with a fresh taste of white flowers and tropical fruits. A balanced wine with good acidity. Innovative Packaging: Ginesia uses an innovative, unique and modern packaging technology by Amorin. Helix is the world’s first natural cork stopper, and glass bottle with an easy-to-open and re-close mechanism, combined with natures best materials with 21st century design. 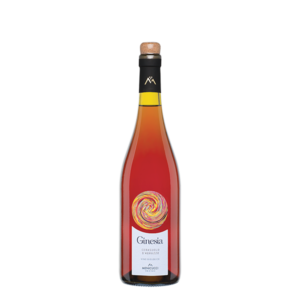 Menicucci's Ginesia is the first Abruzzo wine (and the second in Italy) to bring this innovative and easy-to-use technology to consumers worldwide. Production Area: Old vineyards selected in the municipalities of Orsogna, Filleto and Guardiagrele. The soils are made up of textured lands and generally end with a limestone substrate and rocky outcrops sparse. The thermal values ​​characterize a rather warm texture, with little annual rainfall and very high temperature ranges; ideal conditions that have a positive influence on the quality of the grapes. Tasting Notes: Pale yellow color, crystal clear and lively. The nose hints of white flowers and tropical fruits. 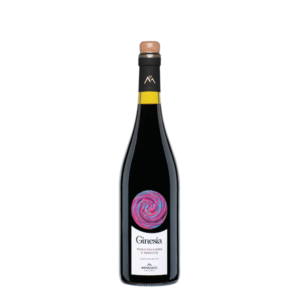 A medium to full bodied wine with a fresh balanced taste, and reasonable acidity. Food Pairings: Seafood, pizza with vegetables, and battered vegetables.